Hannah Kosstrin is a dance historian whose work engages dance, Jewish, and gender studies. 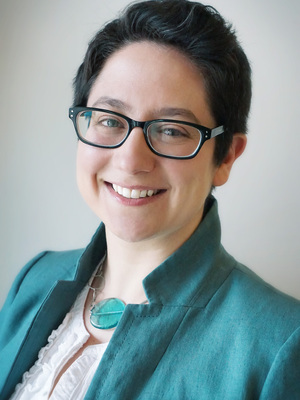 Her research and teaching interests include dance histories of the United States, Israel and the Jewish diaspora, Latin America, Europe, South Asia, and the African diaspora; gender and queer theory; nationalism and diaspora studies; Laban movement notation and analysis; and digital humanities. Her monograph, Honest Bodies: Revolutionary Modernism in the Dances of Anna Sokolow (Oxford University Press, 2017), examines the transnational circulation of American modernism through Anna Sokolow’s choreography among communist and Jewish currents of the international Left from the 1930s to the 1960s in the United States, Mexico, and Israel. Kosstrin’s work appears in Dance Research Journal, Dance Chronicle, The International Journal of Screendance, Dance on Its Own Terms: Histories and Methodologies (ed. Bales and Eliot, Oxford UP, 2013), and Queer Dance: Meanings and Makings (ed. Croft, Oxford UP, 2017). She is project director for KineScribe, a Labanotation iPad app supported by the National Endowment for the Humanities, Reed College, and Ohio State. Kosstrin is Treasurer of the Dance Studies Association, and a member of the Society of Dance History Scholars Editorial Board and the Dance Notation Bureau Professional Advisory Committee. From 2004–2007 she worked with Columbus Movement Movement which was named one of Dance Magazine’s “25 to Watch” in 2007. She joined the Ohio State faculty in 2014, and previously taught at Reed College, Wittenberg University, and Ohio University Pickerington Center. She holds BA and MA degrees in dance from Goucher College and Ohio State, a PhD in Dance Studies with a minor field in women’s history from Ohio State, and Labanotation Teacher Certification from the Dance Notation Bureau. Kosstrin is a past recipient of the Samuel M. Melton Graduate Fellowship in Jewish Studies.